The Weldon School of Biomedical Engineering is proud to announce that Professors Ann Rundell and Zheng Ouyang have been selected to receive NSF CAREER Awards. 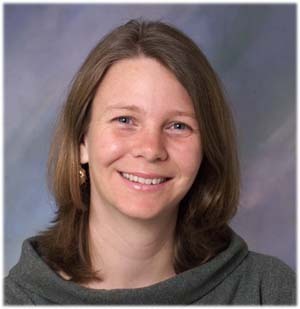 The award will support Professor Rundell's work on advancing model predictive control of cell differentiation. One goal of tissue engineering is to direct the differentiation, integration, and organization of living cells to produce biological substitutes for organs to meet the need of nearly 100,000 Americans who are waiting for organ transplants. 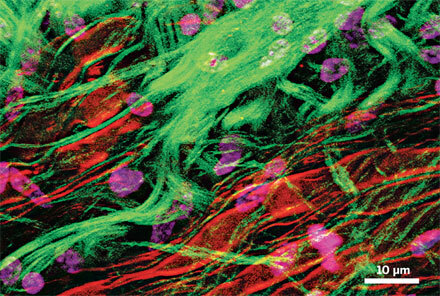 Current efforts in tissue engineering are largely driven by experiments with very little guidance from control theory. This project develops and experimentally evaluates a control theory-based approach that will facilitate the design of protocols to predictably promote the differentiation of human promyelocytic leukemia (HL60) cells into monocytes and granulocytes. Model predictive controllers will be designed using sparse grid-based optimization methods to select practical values that are robust to model uncertainties and experimental disturbances. This potentially transformative research will be among the very first studies specifically designed to develop and experimentally validate control theory-based strategies to control cellular differentiation. In addition, Professor Rundell will educate and inspire tomorrow's engineers to pursue careers that utilize control principles and practices to design experimental strategies to manipulate cellular processes. It is estimated that more than 500 graduate, undergraduate, and middle school students will benefit from the proposed educational activities. Mastery-oriented teaching and small group mentoring sessions are anticipated to promote student attainment of a positive self-image, sustained motivation, and life-long learning skills while the Web-modules, electronic fieldtrips, and summer camp activities will highlight the beneficial contributions of control engineers to society. 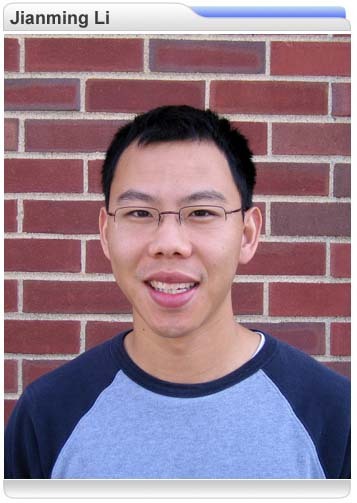 The NSF CAREER Award will support Professor Zheng's development of instrumentation and methods for improving the efficiency of mass spectrometry systems, which will have an immediate impact on the design of miniature, portable mass spectrometry devices for biomedical diagnosis. Professor Ouyang's devices have recently received much attention for their ability to test milk and milk products for contaminants without pretreatment or elaborate preparations. This award will allow him to apply these techniques to cancer detection and demarcation both in tissue biopsies and in vivo. The Wallace H. Coulter Foundation has rewarded the research efforts of Professor Pedro Irazoqui with a Coulter Phase II Early Career Award. Professor Irazoqui and his research team have been collaborating with Dr. Robert Worth, a professor of neurosurgery at the Indiana University School of Medicine, in developing a continuous wireless seizure monitoring device. Currently, 2.5 million Americans and 50 million people worldwide suffer from epilepsy. Current treatment methods include drugs (to which 30-40% of patients are non-responsive), surgery (which is unsuccessful 35-50% of the time) and responsive neurostimulation (being investigated by medical device companies such as Cyberonics, Neuropace and Medtronic). Professor Irazoqui and his team are investigating an integrated package of ASIC and MEMS sensors with wireless power delivery and data telemetry to sense neural activity and detect seizures. Current work is focusing on testing the design and developing a final prototype with improved sensitivity and seizure detection specificity, with a goal of creating a device to alleviate and control epileptic seizures that can be produced at a reasonable cost to patients worldwide. The Weldon School of Biomedical Engineering is proud to announce the launch of a novel online Biomedical Engineering masters degree program. In addition to its biomedical engineering/science curricular core, a unique feature of the program is the emphasis on practical regulatory affairs at both the initial approval and later compliance stages. Students gain valuable in-depth knowledge of regulatory requirements as well as guided practice with effective regulatory document submissions. This advanced education in quality and regulatory compliance prepares students for rapid integration into regulatory affairs teams in critical areas of the industry. “This program's emphasis on regulatory affairs makes it especially valuable to engineers and technical professionals working in industry,” states Andrew Brightman, Assistant Head of the Weldon School. “We are excited to offer this program not only to our partners in Indiana, but also making a Purdue Engineering Masters degree available to students that would otherwise be encumbered by distance.” Continuing the Weldon School's tradition of biomedical leadership, the online Biomedical Engineering concentration delivers high quality graduate-level opportunities to professionals located anywhere in the world. Professionals may take a course or two separately or register for the entire degree program. Two biomedical engineering courses (Regulatory Compliance for Biomedical Devices and Tissue Engineering) are currently in session, and a Quantitative Physiology course will be offered this spring. Registration for spring classes beings this week. 877-598-4233 (Toll-free U.S.), or 765-494-7015 (Local/International). 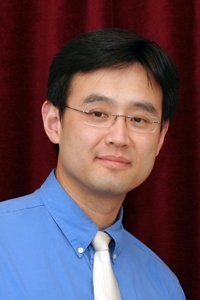 The June 29, 2009 issue of Chemical & Engineering News spotlights Professor Ji-Xin Cheng's research using coherent anti-Stokes Raman scattering (CARS) microscopy and stimulated Raman scattering (SRS) microscopy to study the central nervous system. Cheng is collaborating with Stephen D. Miller, an immunologist at Northwestern University Medical School to study myelin sheaths that encase axons in the brain and spinal cord. CARS is an excellent tool to visualize axons with high resolution, allowing the researchers to observe the progression of diseases such as multiple sclerosis. Another research project, in collaboration with Michael S. Sturek, a physiologist at the Indiana University School of Medicine, is combining CARS imaging with simultaneous sum-frequency-generation imaging to study lesions in atherosclerosis. By identifying specific lesions as containing unstable plaque, it is hoped that a majority of heart attacks could be prevented. CARS and SRS techniques both utilize two pulsed laser beams that are tuned to match the frequency of a specific chemical or compound. The beams are aimed at a sample, and the resultant scattered light gives researchers images whose analysis benefits a broad range of applications, from medical diagnostics to pharmacokinetics to conversion of biomass to biofuels. These techniques can reduce imaging time from hours to seconds, with much higher resolution. In a first-of-its-kind study, Purdue Biomedical Engineering researchers are teaming up with local high school football players to better understand how large impacts to the head can result in concussions. The team of researchers, including Professors Eric Nauman, Tom Talavage and Charles Bouman, kicked off the study by collecting baseline MRIs and cognitive data on participating members of the Lafayette Jefferson High School football team. Twenty-five players' helmets were then fitted with sensors that record the intensity and direction of impact. By examining this data in conjunction with monitoring video of the games, the researchers hope to better understand how specific impacts happen, and why certain players are affected differently by similar impacts. The participating coaches will be able to utilize this information to better instruct the players, thus improving the overall safety for all team members. Although earlier studies measured impacts and their effects on players, no one has ever collected MRI or cognitive data on players prior to documenting their concussions; thus the baseline data was simply not available for comparison. The availability of a 3-Tesla MRI scanner at the Purdue MRI facility at Innervision West for research has made a significant difference in the project. If a player is diagnosed on the sidelines with a concussion, he will undergo subsequent computer cognitive testing and MRIs that can be compared to the preseason data. Clinical methods of diagnosing concussions - confusion, drowsiness - tend to fade with time. The current follow-up tests will provide better metrics on how long a player is affected by the concussion. According to Professor Talavage, "What's exciting to us is to be undertaking this research at the high school level, where the student athletes' bodies are still maturing and brains are still developing. Anything we can do at this stage to prevent these types of injuries, especially long term consequences, is a big plus." The research team is hoping to expand its study to include other area schools, and even other sports. Non-sport applications could include soldiers who are suffering from blast trauma or obtaining information for improved automobile design. Jianming Li, a graduate student in biomedical engineering, spent three-weeks visiting China this summer. His visit was sponsored by the National Science Foundation. The purpose of the visit by graduate students, Purdue faculty, and a local middle school teacher was to provide fellowships for PhD students in the STEM disciplines (science, technology, engineering and mathematics) to work with middle school science and math teachers to develop lessons, curriculum and activities. This work was done in collaboration with the Jiangsu Institute of Education in China. According to Li, "The students were very energetic and it was refreshing to see them so engaged in our lectures". His participation in the program included teaching inquiry-based science lessons to a group of 50-60 students while 200 teachers from across the province observed. They agreed that although their countries are unique in such aspects as culture, language and everyday life, education is one of the fundamental elements that makes us a global community. Li became involved in the program in order to prepare and inspire students in a manner similar to how his seventh grade teacher impacted him. He feels that middle school students are very curious and impressionable, and the next few years of their education will be crucial in fostering their mental development, personal attitudes and future planning. He also recognizes the lingering effects of negative teaching experiences, as even the most fascinating topic can be rendered unappealing by ineffective instructors. As a fellow, his goal was to work closely with school instructors to develop methods and experiments that will generate significant interest in science, math and engineering, thereby having a positive impact in a young person's life. It is with regret that we announce that Iecun Johanes, Class of 2008, succumbed to his battle with lupus in August 2009. As many of you know, Iecun was a kind-hearted and friendly individual who took his studies very seriously and who had a zest for learning. After graduation he was a research assistant in Professor Albena Ivanisevic's Atomic Force Microscopy (AFM) laboratory. He had planned to return to his homeland of Indonesia and enroll in a Biomedical Engineering graduate program. His focus would have been to improve the diagnosis and treatment of lupus, with the ultimate goal of finding a cure. If you have a favorite memory of Iecun that you would like to share with others who knew him, especially with his family, please e-mail it to his Academic Advisor, Truda Strange. These will be compiled into a remembrance.